It was supposed to fill the Memorial Day weekend void left by Sasquatch! Music Festival’s cancellation. But two months before the three-day, don’t-call-it-a-festival festival was set to uphold the tradition of the holiday weekend music at the Gorge Amphitheatre, End of the Rainbow has reportedly been called off. In an email from Ticketmaster on Friday, ticket holders were notified that End of the Rainbow is “postponed indefinitely,” Consequence of Sound reported, citing “unforeseen complications” and “key artist cancellations.” Tickets to the originally planned May 24-26 bash led by EDM titan Bassnectar will be refunded and will not be honored if a makeup date ever materializes. Despite the assertion that End of the Rainbow may return at some point, the fact that the event’s social media accounts have been deleted and its website taken down doesn’t inspire much confidence. 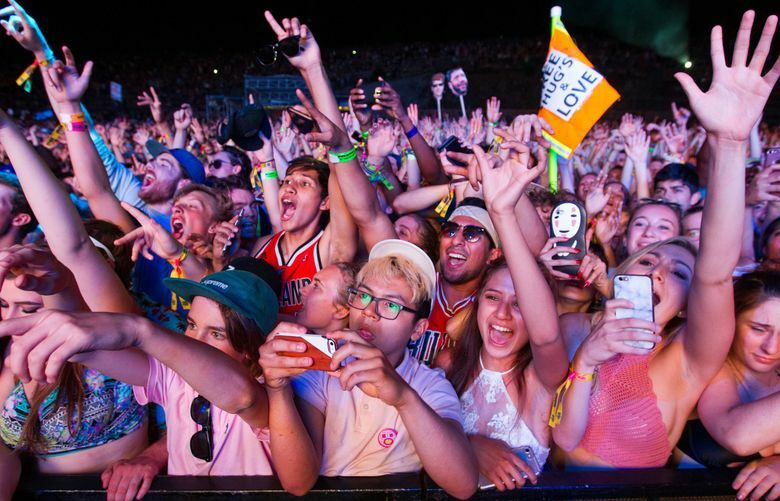 Unlike Sasquatch and many other traditional music festivals, End of the Rainbow was billed as a single-stage event, heavy on EDM and hip-hop acts meant to lure a younger, party-hearty crowd. When the lineup — featuring two nights headlined by Bassnectar, Lil Uzi Vert, Young Thug, Griz and STS9 — was announced last month, Live Nation Pacific Northwest president Jeff Trisler said the company did not plan on selling single-day tickets. Some Bassnectar fans were later irked when the schedule revealed the rap acts were stacked on Friday, with new ticket options for Friday-only and two-night, Saturday-Sunday passes becoming available. Trisler could not be reached for comment Monday. After 17 years, Sasquatch’s Memorial Day weekend reign at the Gorge ended following 2018’s attempt at returning to its indie roots. Despite a stellar lineup featuring indie-rock favorites Bon Iver, Modest Mouse and the National, and a plethora of rising stars like Lizzo and Phoebe Bridgers, it wasn’t enough to keep the struggling fest alive.